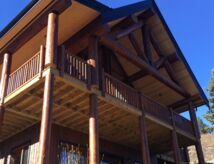 We ordered our custom log home from DBD Log Homes after viewing their gallery and receiving recommendations from other satisfied homeowners. 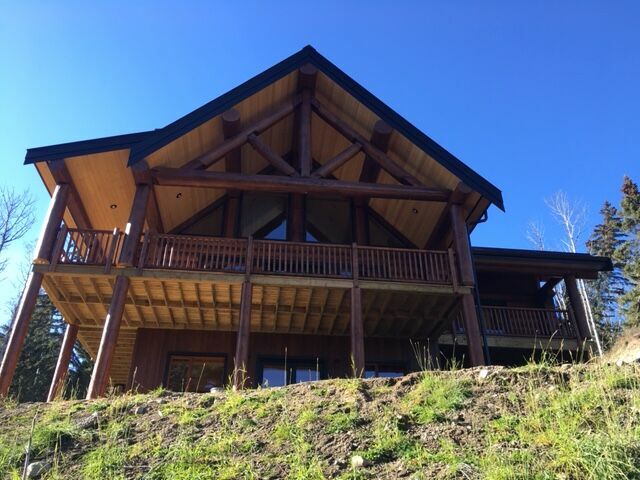 The care and craftsmanship that Dave and Barb Ohrling and their team brought to our project was outstanding and the results speak for themselves. 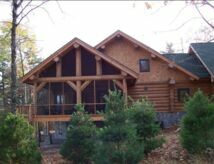 DBD has a portfolio of log home plans that gave us a good idea of what we were looking for, and Barb then referred us to a draftsman who could develop plans to fit our site. 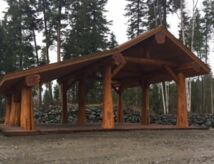 Our dreams soon started to take shape in the DBD yard in Lone Butte, BC, and we received regular updates and photos of the build as the work progressed. 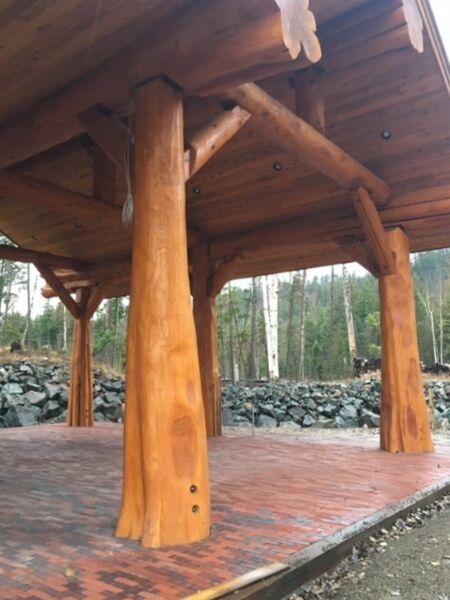 After letting the logs dry over the winter and spring, we were able to move the log package onto our lot where the foundations and sub floor had been prepared. 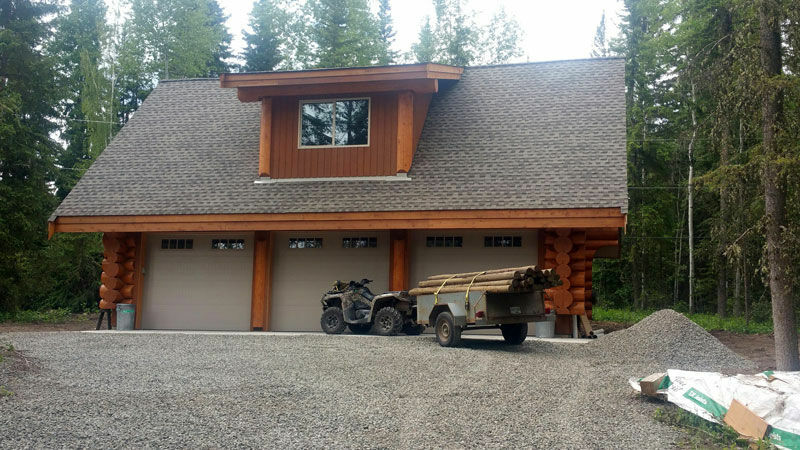 In less than a day, Dave and his team had the package installed and we turned to finishing the home over the summer months. 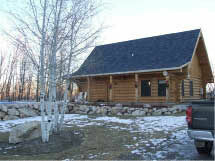 We reached lock up by Thanksgiving and again let the logs settle over the winter. 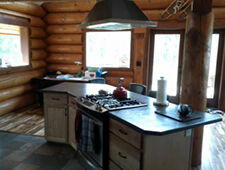 It is now spring and we are completing the interior. 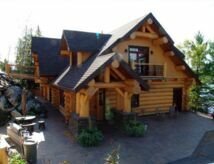 Everyone who is working on the home speaks highly of DBD Homes, noting the quality of the log work and the precision of the construction. 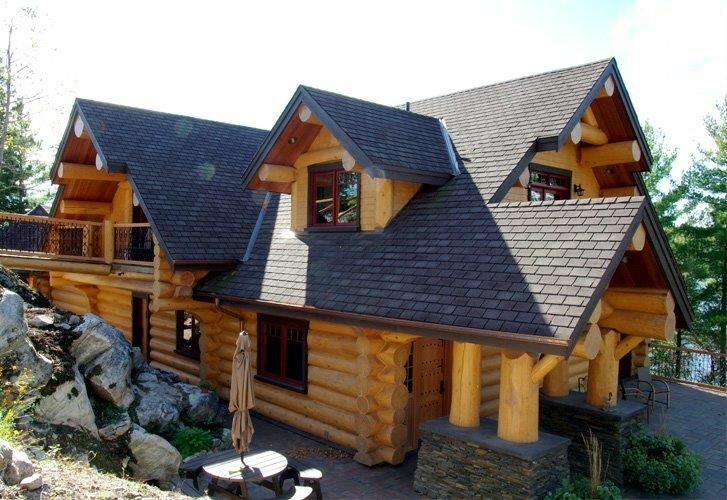 The project has been so well executed, starting with our first dealings with DBD Log Homes and we are happy to recommend them to anyone looking for a quality hand built log home. 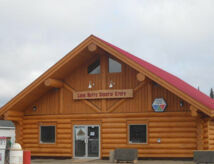 We thank you very much for a job well done. 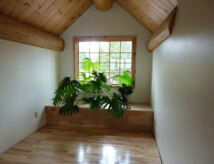 It was fun working with you guys. 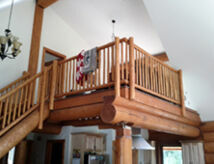 Right from the very first log you put up, I knew it was going to look nice. 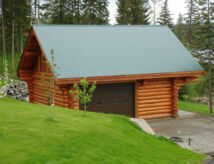 You are hard working bunch of guys, very skilled and professional. 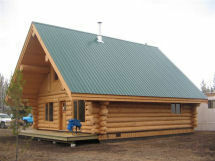 You put our cabin up on time and on budget too. 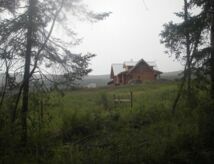 Once again, thanks and keep up the good work. 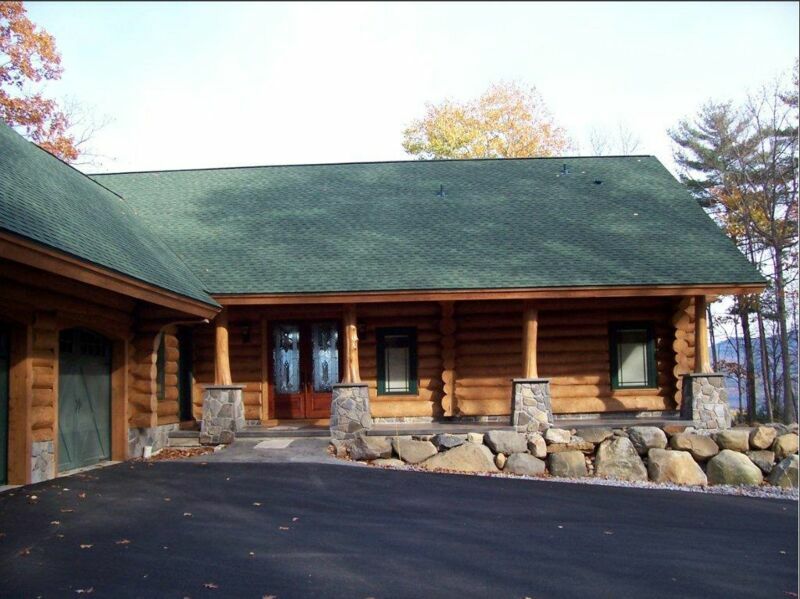 These are the beautiful examples of how our clients have chosen to finish their homes. 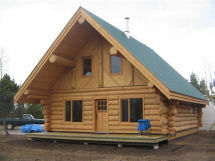 The attention to detail is obviously continued in the homes long after the log shells have left the DBD Log Home yard. 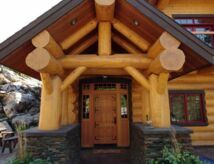 There are many different styles of homes, colors of stains and choices of finishing products, but when the log shell is a DBD log shell, any finishing choice looks beautiful." 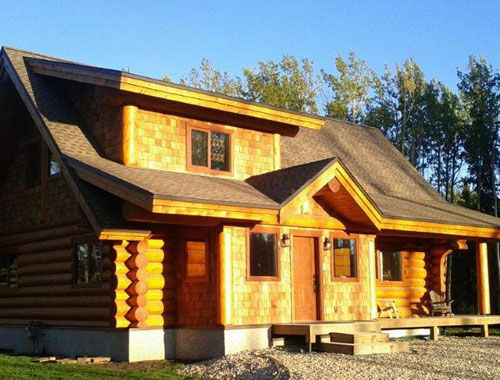 DBD LOG HOMES – THE RESULTS ARE IN! 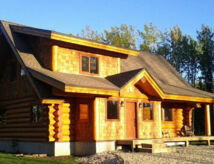 A solid 10 across the board!!! 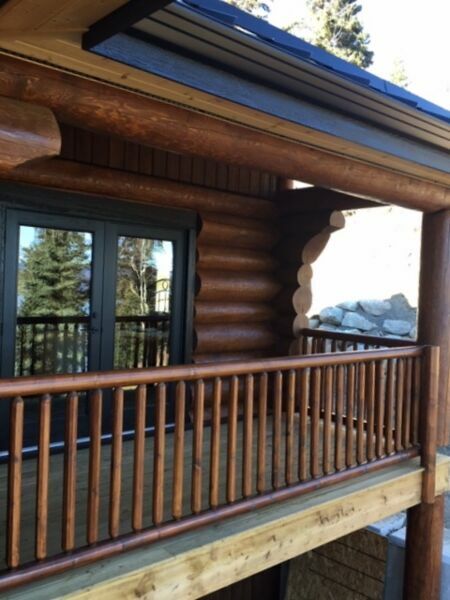 Craftsmanship – 10, Customer relations – 10 Professionalism - 10… I can’t think of anything that did not go smoothly. 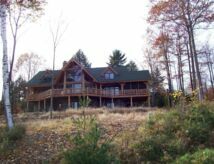 From the moment we met Dave and Barb we knew we were in good hands. 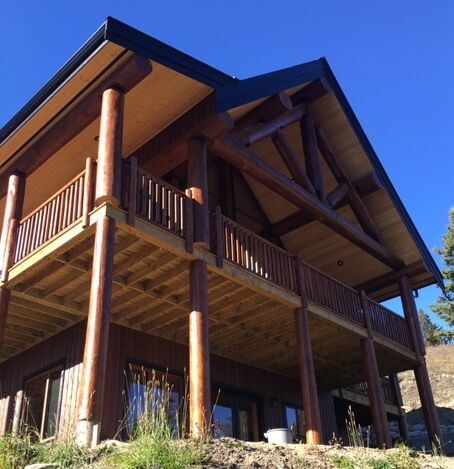 The quality of work is outstanding, the staff that came to set up this home were very particular and made sure that we were happy with everything done. 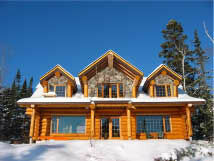 When, and I say when not if, we build another log home there is no question who we would call. Thanks Dave and Barb for making this a stress free and an enjoyable process. 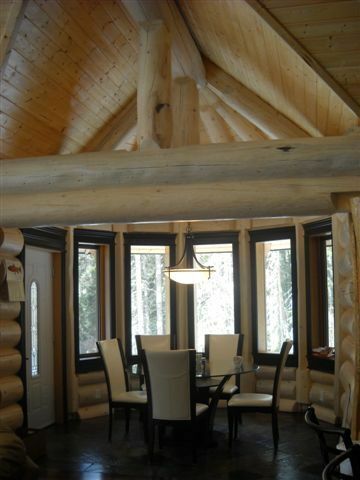 Thank you for your expertise in helping us build our log home. The log package you created is of the highest quality and craftsmanship. 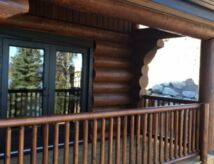 Your customer service and attention to detail was second to none and it was a pleasure working with you during all phases of construction. 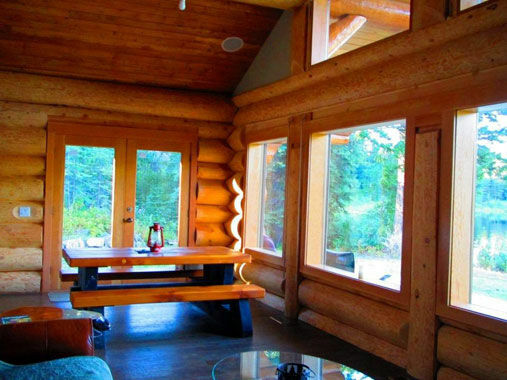 Installation of the log package was remarkable. Your ability to put up a 1700 ft house package with only 13 hrs of crane time is proof of your organizational skills, work ethic, and professionalism of your crew. You have helped us create a home that we will enjoy for years to come and will stand the test of time. If or when we ever build another log house, you will be the first we call. 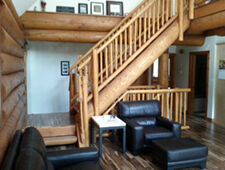 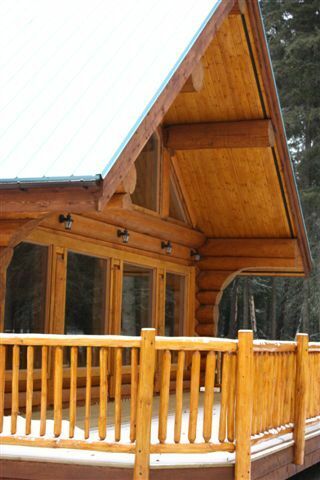 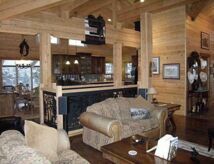 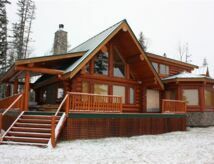 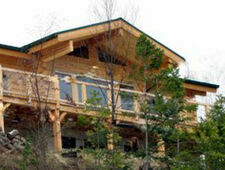 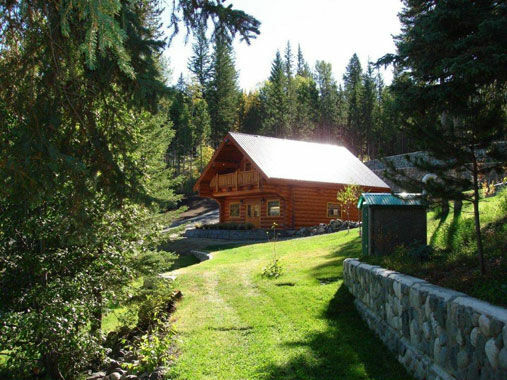 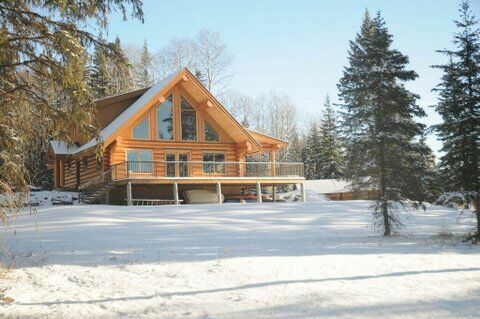 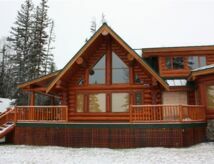 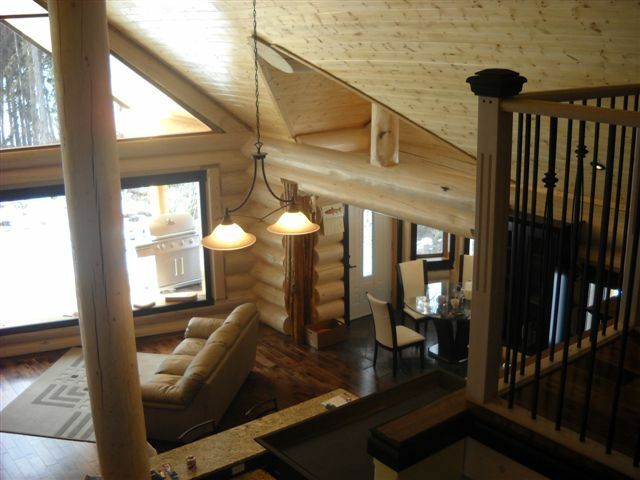 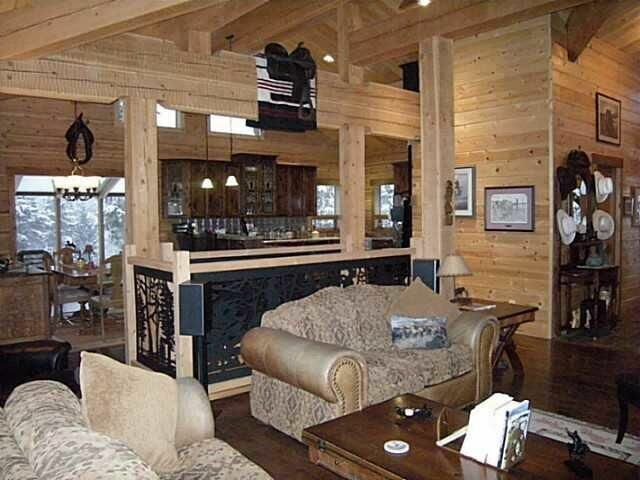 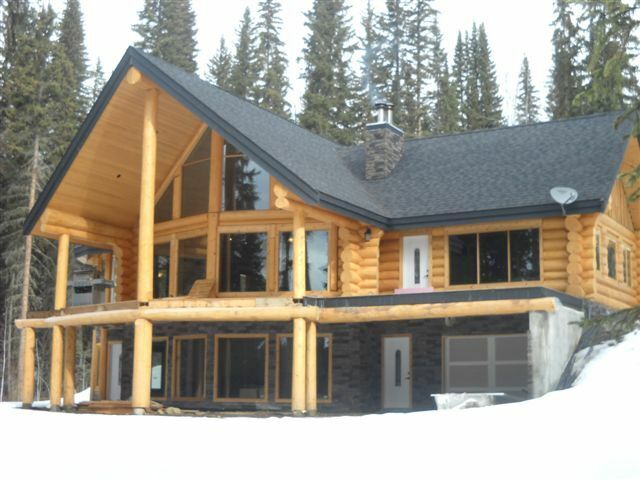 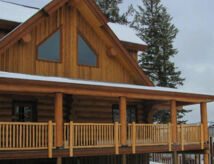 It is hard to know where to start in describing how much we love our DBD custom crafted log home. 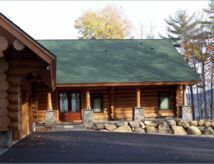 From the first visit to your yard we appreciated each opportunity to meet with you in planning and building this very special home. 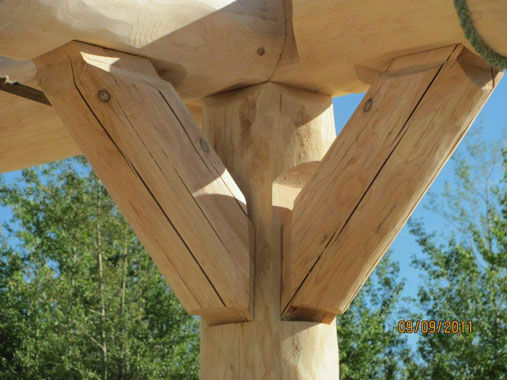 It will be apparent to those who meet you that you are truly an artist and a craftsman, and that you are passionate about working with wood. 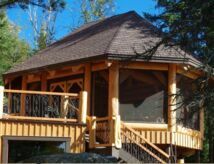 We were able to bring our ideas in the form of vague concepts and you somehow transferred these to amazing plans that resulted in a custom built home. 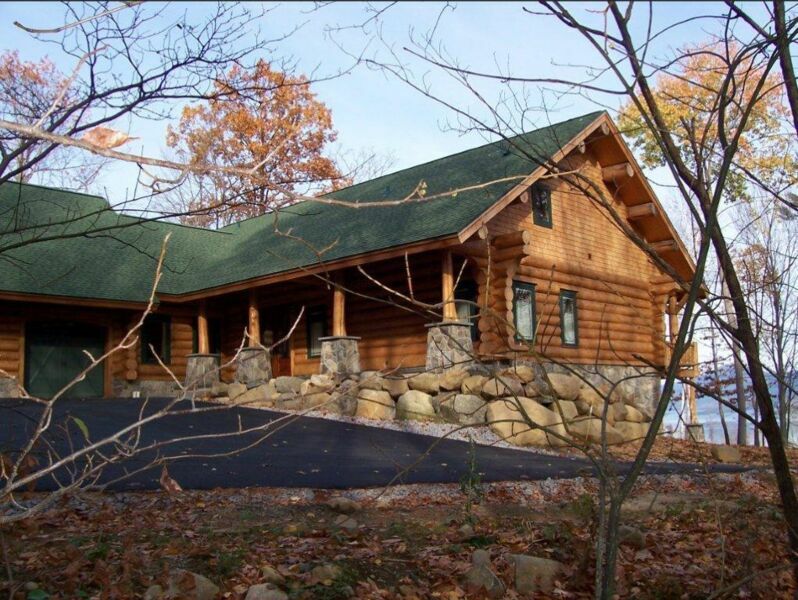 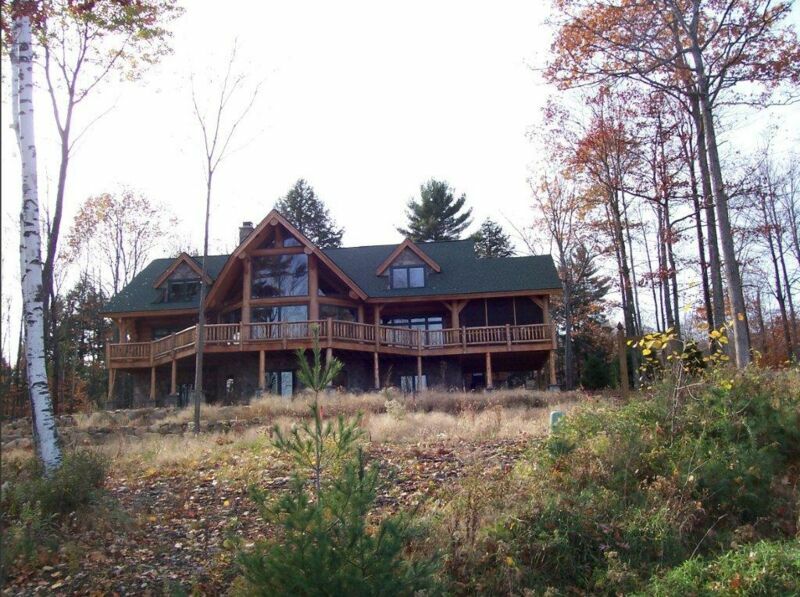 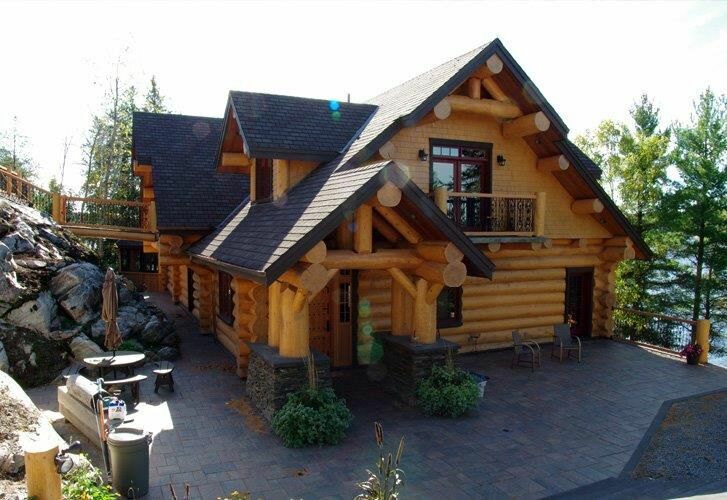 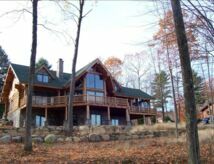 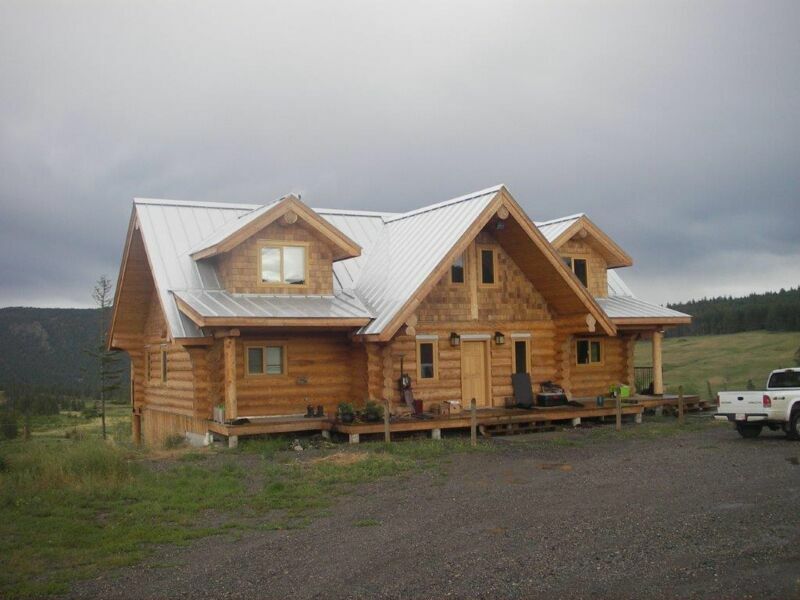 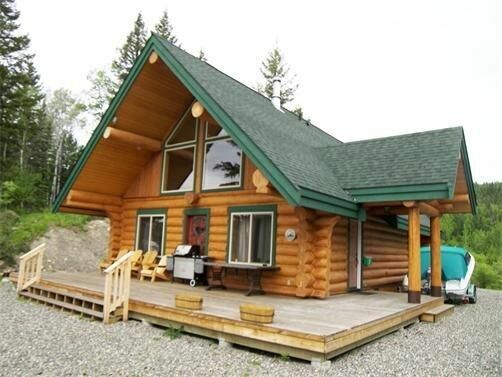 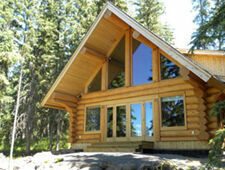 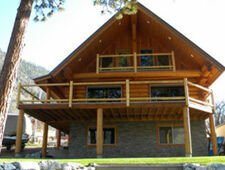 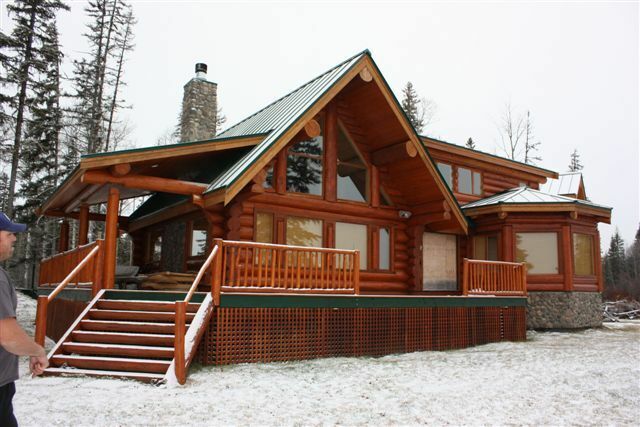 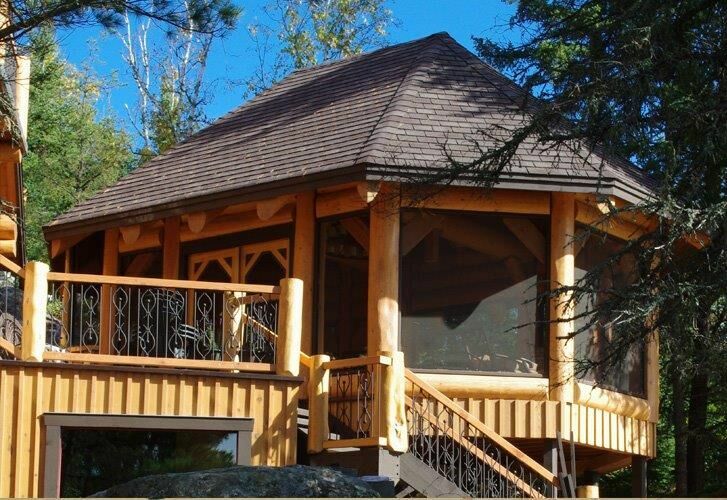 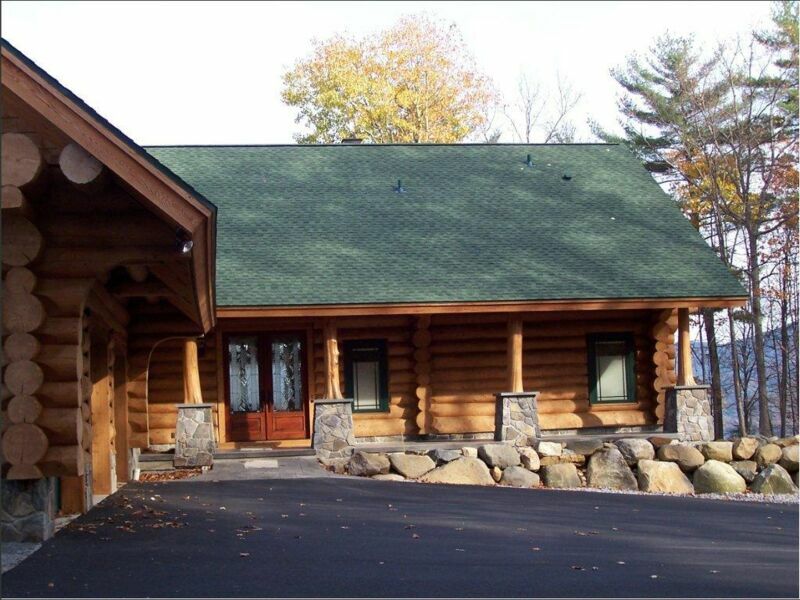 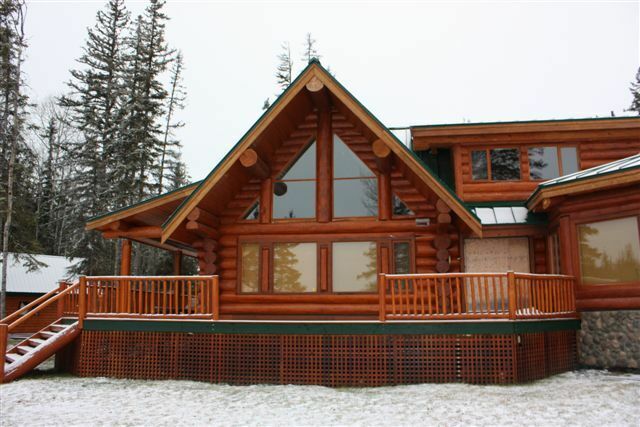 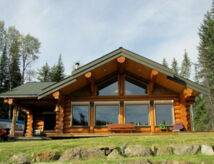 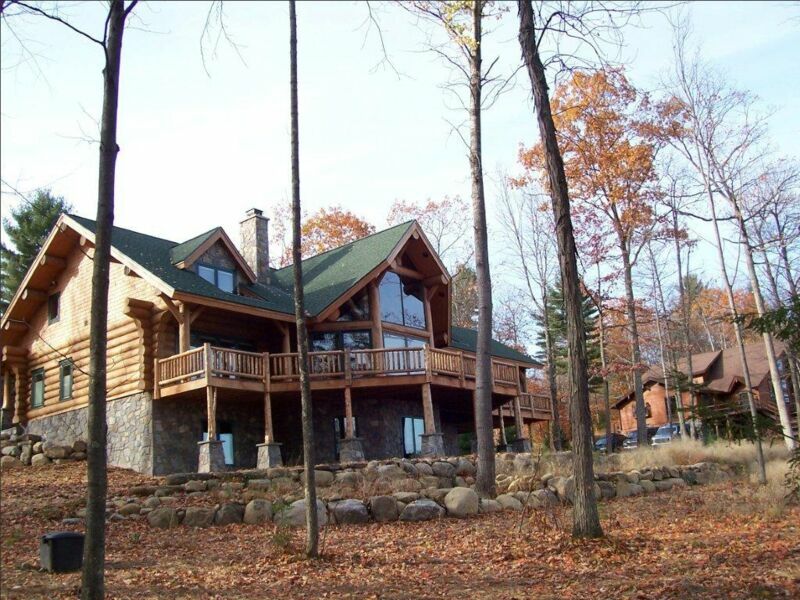 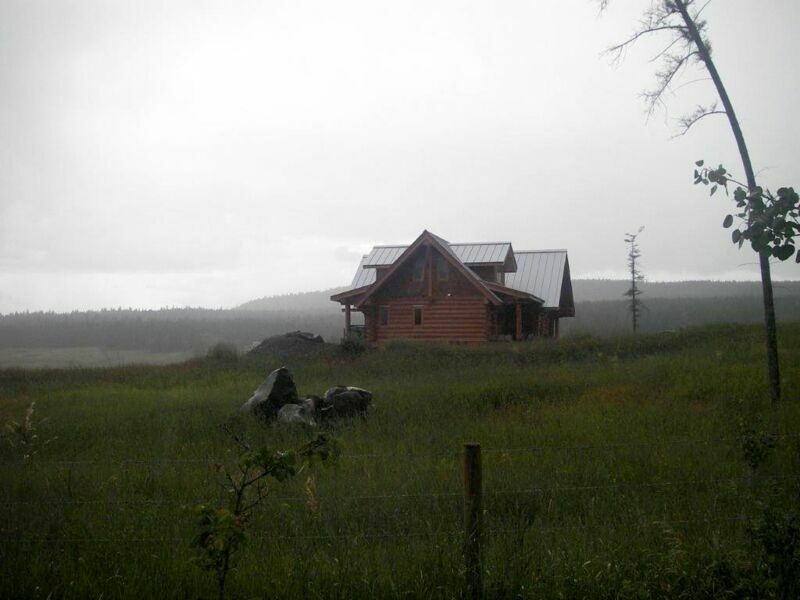 The carpenter who worked with us in building this home has constructed many log homes around the world. 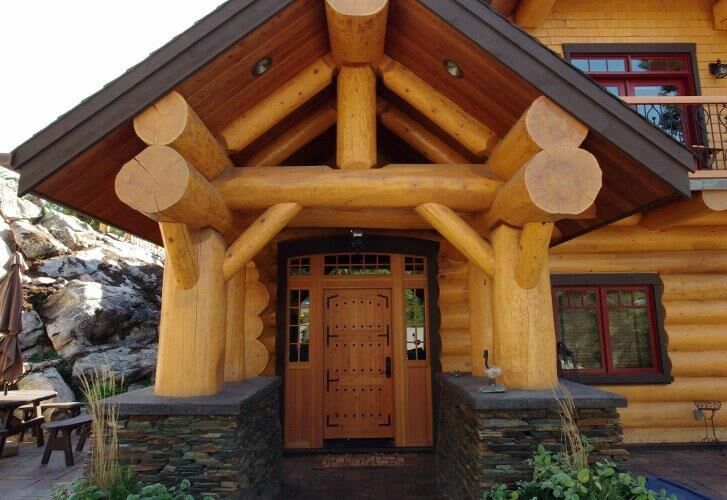 He was impressed with the precision and detail in this log structure. 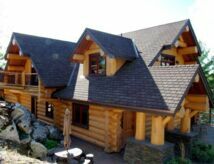 As we live in the “Log Home Capital” of Canada, we had many builders to choose from in the early stages of our planning. 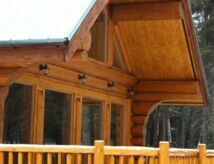 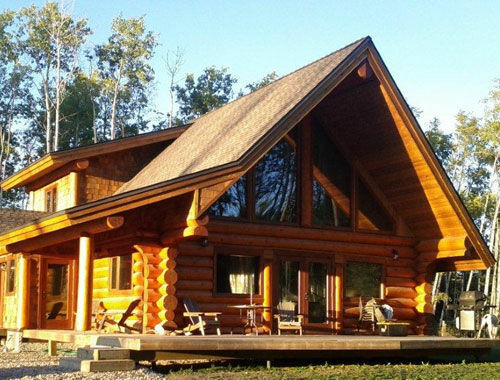 DBD Log Homes was the top choice with an outstanding reputation in the industry, competitive pricing, quality materials acquired locally, and professional staff. 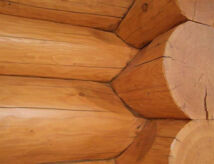 We are pleased with the square log format with the unique hand-crafted look. Many visitors who come to our home are in awe of the look and craftsmanship of the log structure. 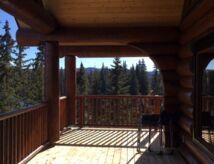 We have been living in our home for six months now and continue to find unique aspects of the structure that we appreciate. 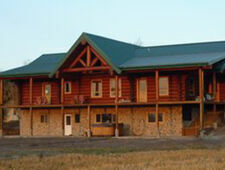 Our experience from beginning to end has been positive and rewarding. We appreciated how quickly and professionally you and your crew worked and how you accommodated time lines. 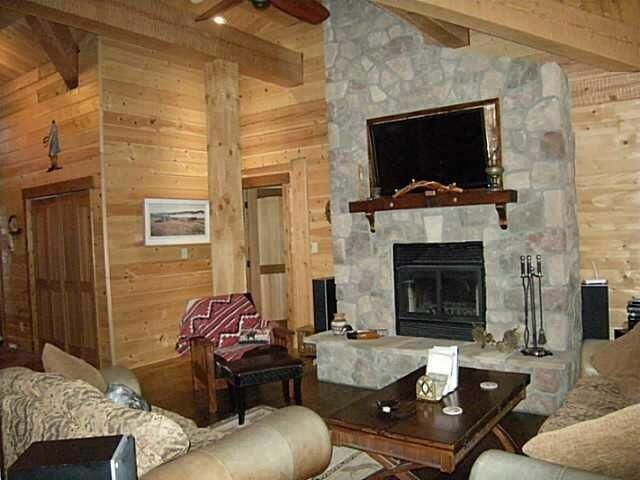 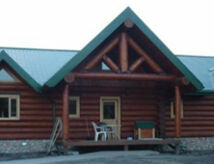 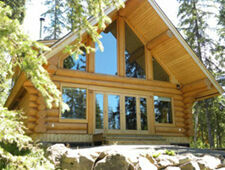 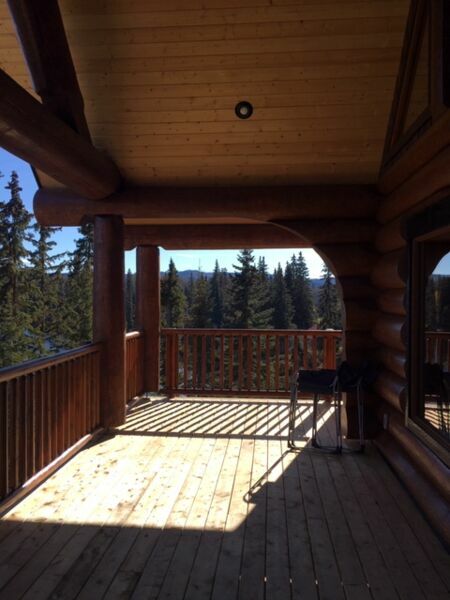 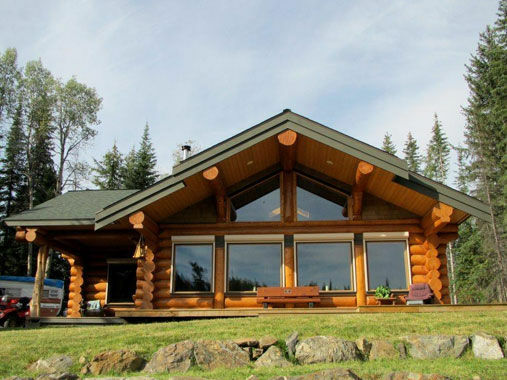 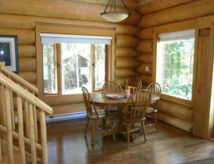 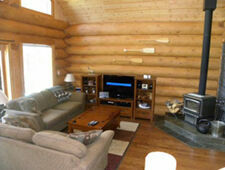 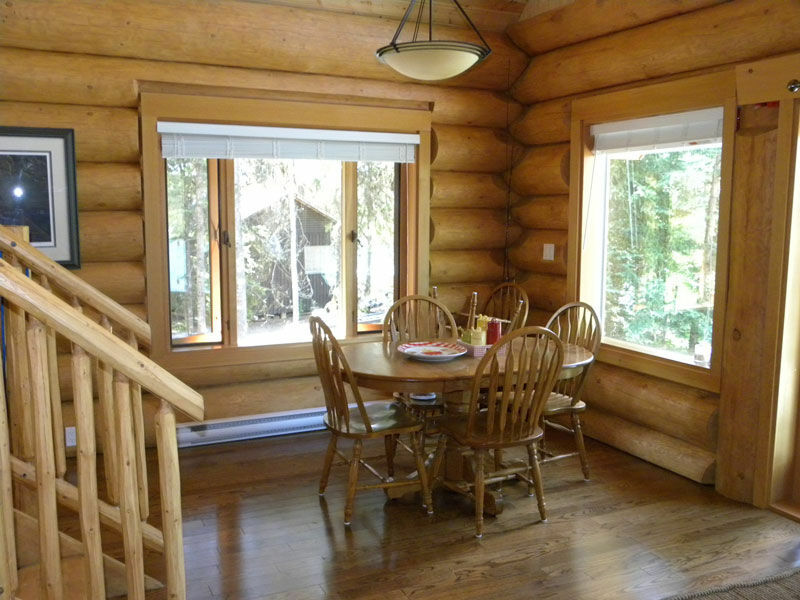 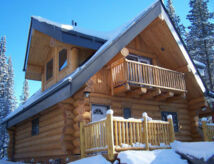 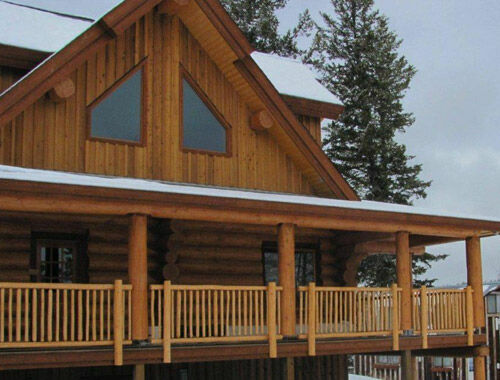 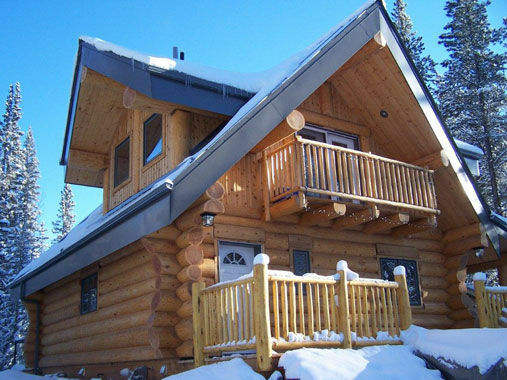 Every experience with DBD Log Homes has been positive and we had the best possible service. We would highly recommend you to anyone wanting the finest in a quality crafted log home. 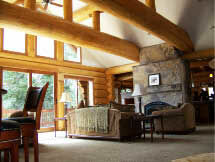 PS: We would be more than pleased to be used as references and to share our experience with anyone you wish to refer. 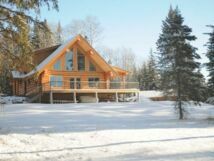 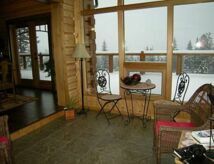 We fell in love with the Cariboo and purchased the property where we planned to escape to from city life. 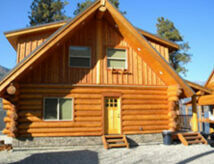 We found a business card for DBD Log Homes at the realtors office and arranged to meet with Dave and Barb. 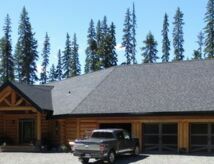 They took the time to listen to us and helped us to start the process to plan our house.We contacted several other log home builders in the Cariboo and further afield but no-one else offered the time, concern or comfort level we had been extended from DBD and very quickly knew that it had to be Dave and Barb and their team that would build our new home. 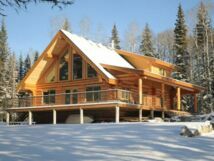 In the initial stages they guided and advised us to ensure that our house plans would meet not only all our expectation but also our budget. 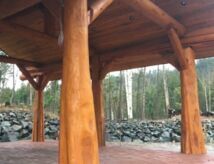 Once we had our Building Permit they immediately started work to build it, ensuring we were kept informed of the progress and welcomed any time we stopped by their yard to see for ourselves. 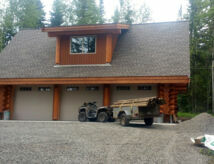 On schedule one evening our house arrived onto our property in a big package on an even bigger truck. 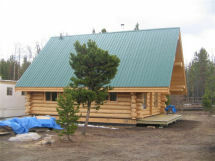 The next day we could not believe our eyes and barely contain our excitement as the knowledgeable DBD crew assembled it with exact precision, log by log and panel by panel, and within hours what we had planned and anticipated was complete and stood before us.Since then as we work to finish the house Dave and Barb have been interested in our progress and always available to answer any questions, point us in a direction or help in any way they can. 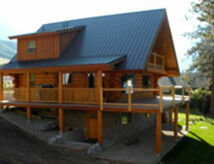 We came to you with a dream and you have helped make that dream a reality!! 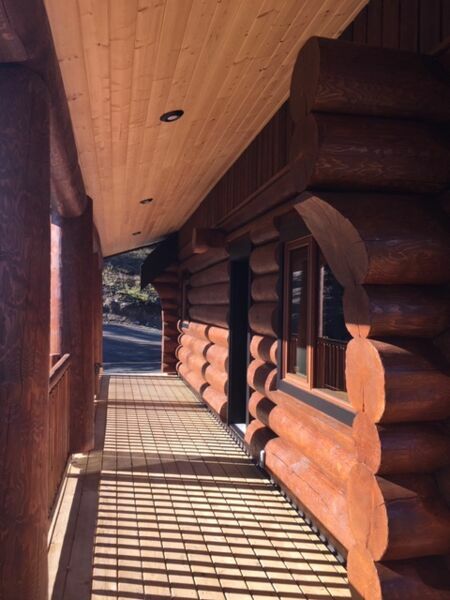 Building a log home has been a life-long dream for us. 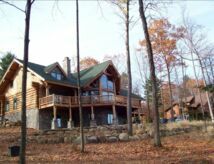 We bought a lake front property and wanted to build a quality log home. A lot of research on builders and the quality of work was done before making our decision to choose DBD Log Homes. Your company has more than met our expectation. My husband Bill is a craftsman who enjoys building quality furniture as a hobby so he wanted someone to prepare the log package that would take pride in their work, deliver a fabulous product and build a special design we created - we could not have asked for anything better. 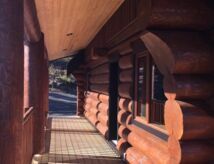 We also appreciated all the pictures that were e-mailed to us on the progress while the log home was being constructed in the yard. 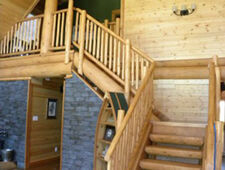 The photos really increased our enthusiasm. 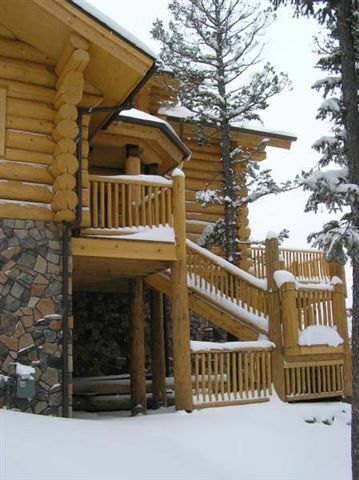 Thank you for working with us through email, on the phone and in person to create the home of our dreams. Dave, we were very impressed with your knowledge, professionalism and leadership. When the time came to erect the home on our property we were also very pleased with your crew that helped erect our log home. 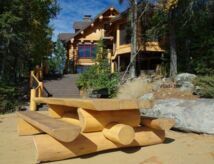 Your crew was very organized and safety conscious as each log was guided into place with ease and the quality of material was outstanding. The professional yet personable attitudes they all have are wonderful. 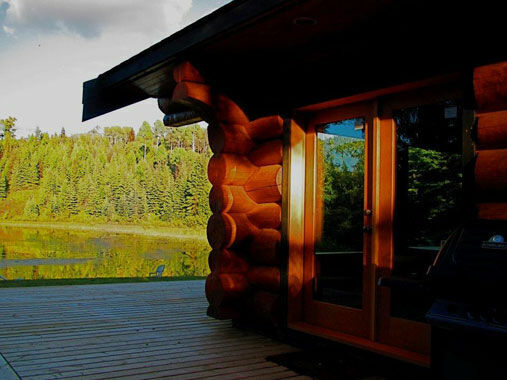 We found everyone to be honest and sincere. 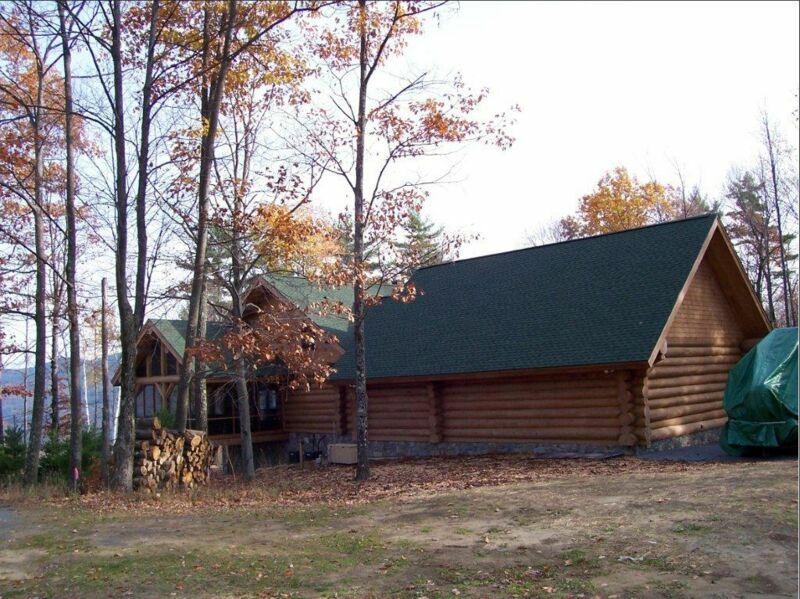 We can’t thank you enough. From our initial contact to erecting the log home in August 2007 - you were there to give us suggestions and help as required. 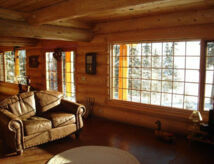 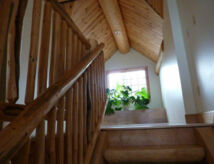 Your honesty, integrity and professional knowledge of the log home business is wonderful. 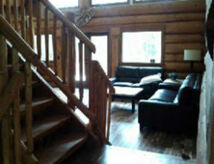 Thank you to all the staff at DBD. 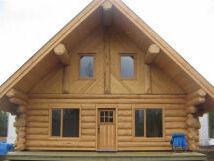 We would recommend you to anyone wanting to build a log home. 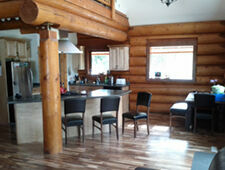 pictures to show how the house was advancing. 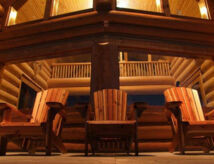 The whole log home experience was a very pleasant one. 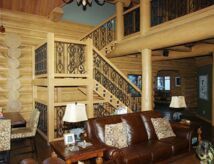 We love our log home and glad that we stopped at DBD Log Homes that day. We wanted to send you a note to let you know how much we have enjoyed the entire experience of doing business with you. 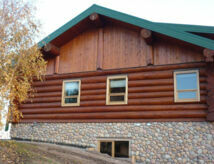 We have completed construction of the log home you built for us and it is all and more than we had hoped for. 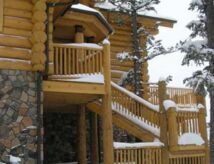 From the early stages of design concept discussions through to your on-time delivery and erection, it could not have gone smoother. 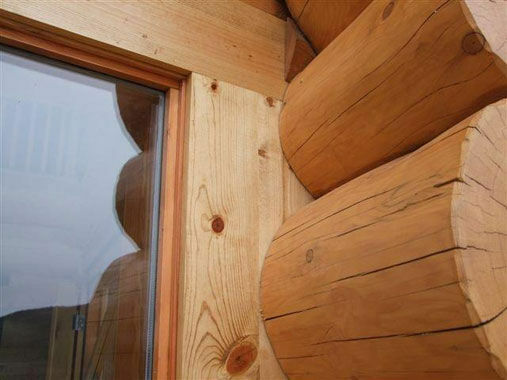 Beyond the obvious and impressive aesthetic value, having done all of the finishing work ourselves, we’ve gained a great deal of appreciation for the high level of workmanship that went into the log work. 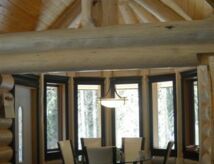 Every fit was tight, every wall, doorway and window opening square and level and the logs were ground perfectly, ready for staining. 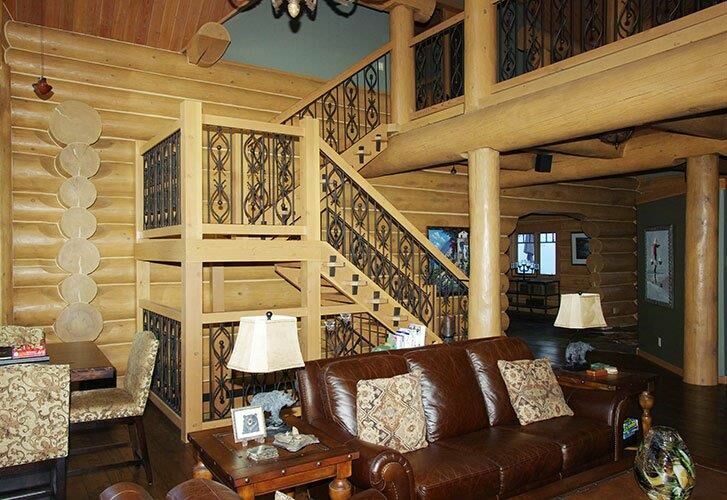 All of this made the finishing work easy. We are now thinking about a log sauna…we’ll be in touch soon. 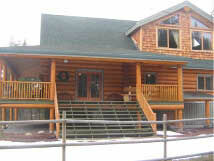 I met Dave at his building yard in January of 2005. 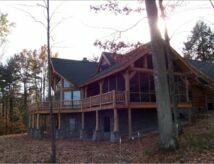 After several hours together, and another session the next morning, I wrote a check to DBD Contracting for half of our project without any question in mind what these folks would do. As the next months went by, we were kept informed and had a steady supply of pictures of the progress. 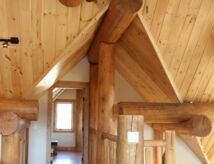 Dave provided us with very high quality framing lumber and long lengths of cedar beams for exposed rafters at less than competitive prices. My father-in-law and I salvaged bricks from a demolished building that winter. We started the foundation in west central Minnesota as soon as the weather would allow, and by the middle of June we finally had a concrete block and brick basement ready for a log house that was waiting in Canada. One load of lumber was already delivered, and the people at DBD arranged the transportation and loaded our house on two more loads. 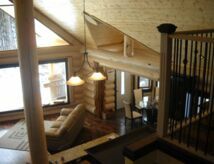 We picked up Pete from DBD in Fargo, and with an expert local crane crew in our employ, ten men put our DBD home together in one day. 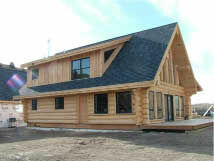 Soon the shake roof was on. 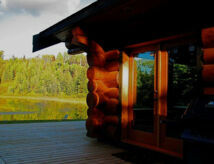 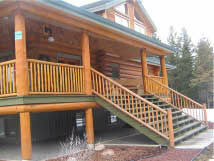 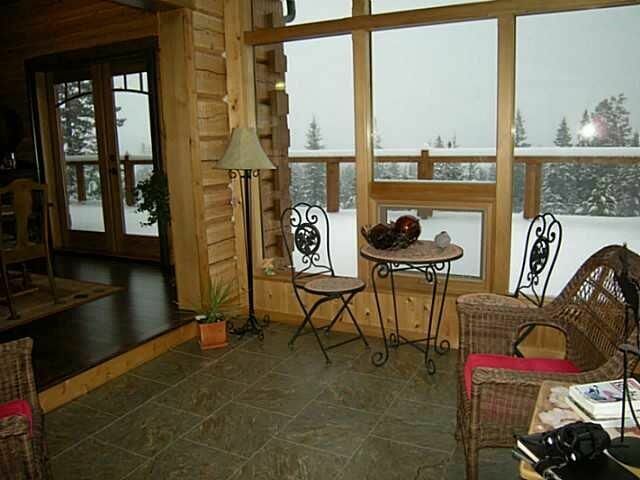 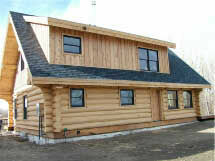 This is spring 2007; our family with three small children is living in our beautiful but not quite finished log home. This home is available for inspection, just contact DBD Contracting for location and contact information. The Ohrlings and their crew have truly worked hard to put a fabulous log home within the reach of common working people without any financing. 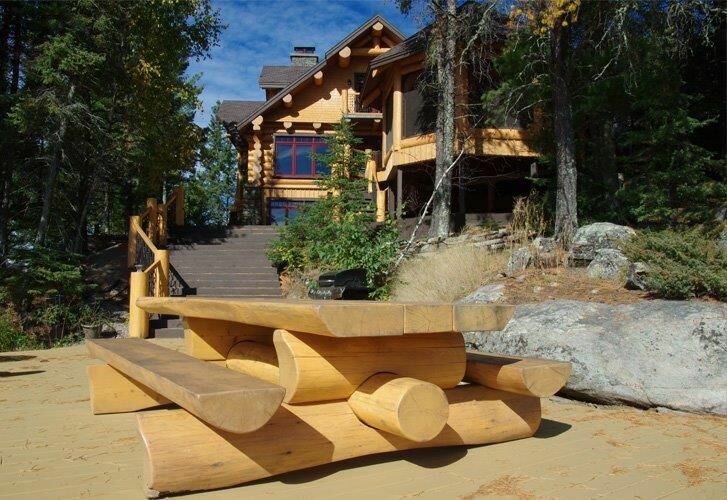 When we build again there will be some things we will do differently, but the one we won’t change is our log builder. 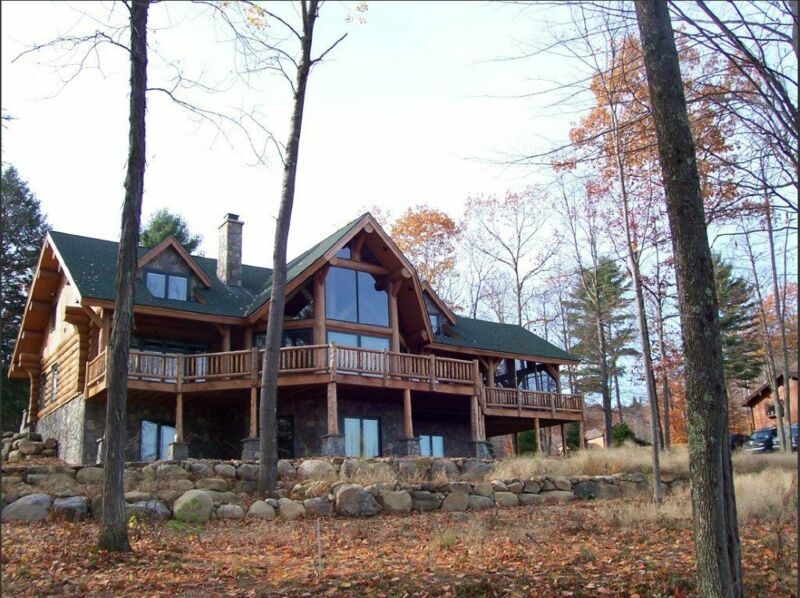 Dealing with Dave and Barb was a pleasure. It's good to know that honest people are still around. 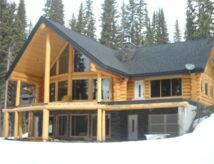 I would DEFINITELY recommend DBD for any type of contruction project! Last fall we went to DBD Log Homes building site at Lone Butte, B.C. With a rough drawing of a building in my hand, I spoke to Dave Ohrling. 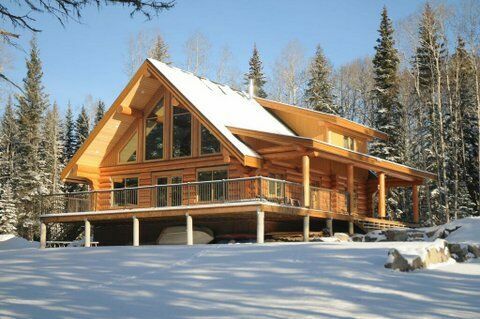 "Dave, can you build us a log cabin" I asked. We gave him the mesurements. 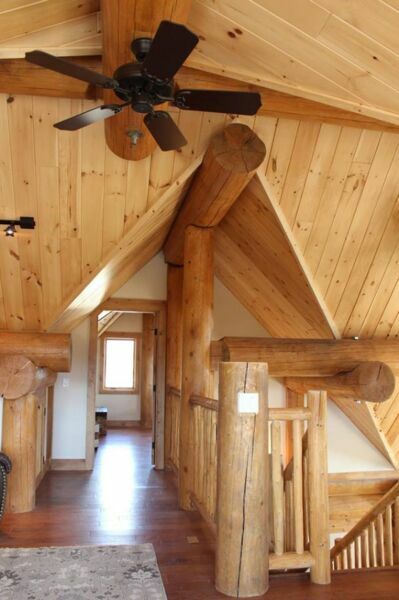 His answer was yes. 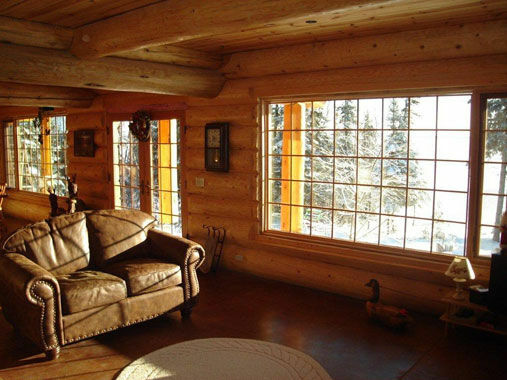 "I have a georgeours view of Puntzi Lake with the mountains in the background, and I just want the cabin to be simple and pretty," I said. 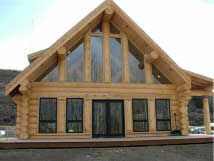 Dave said "I will build you a pretty cabin". 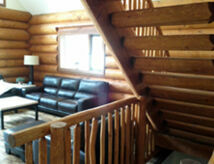 Well , the cabin is beautiful, the workmanship is superb and the crew was a pleasure. 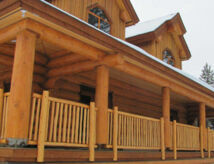 We are so pleased and would, and have, recommended your company to anyone looking to have a log home built. 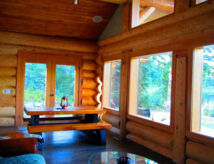 5 Stars!! 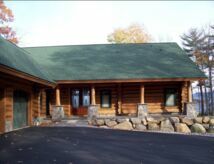 I have used DBD Log Homes before and was Very Happy with the RV shelter they built for me, so I decided to have them build my dream Barn. I am So impressed by their quality and detail to Fine work!!!! 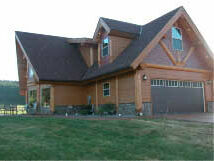 Thank You Dave and Barb, you have been Wonderful to work with.